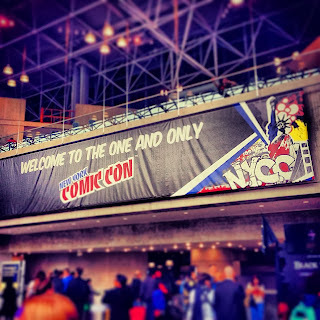 Picturing Disney: Adventures at New York Comic Con 2013! Adventures at New York Comic Con 2013! Three standout artists come to mind for me: Chris Uminga, Karen Hallion, and Amy Memberson. I didn't purchase any of the lithos from Amy although I adore her Pocket Princesses comic and you should totally check it out (these were Disney commissioned and a little high priced for their size plus she was giving away free sketches with all but the litho I wanted to I passed)! Karen Hallion's Fairytale Who series is amazing! I got a print of Belle (below left), picked up a few for friends, and even made her Cinderella Who business card a fridge magnet. My sister grabbed her Rapunzel and Alice notecards to frame as well. 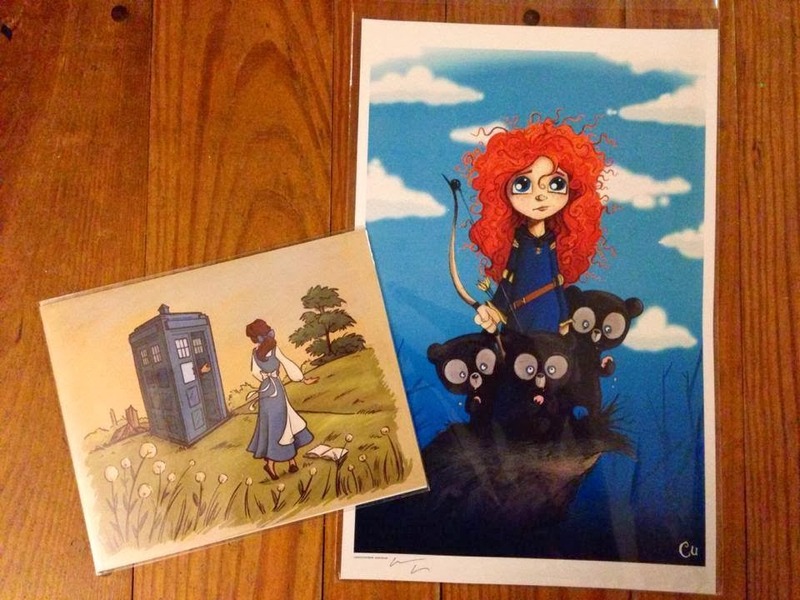 What's great about her prints was they were not exclusive or priced up so if you are Disney and Doctor Who fan you can nab them on RedBubble or Etsy no problem! 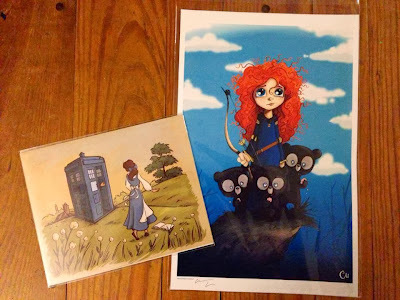 The Merida (above right) print I purchased from Chris Uminga's booth (which he kindly signed for me) was a NYCC exclusive but also introduced me to his awesome art! He has tons of awesome pop culture prints and even an adorable UP/Batman mashup! In Artist's Alley we also grabbed a couple new books, some Doctor who prints, an awesome Raphael (TMNT) print, and a Jack & Sally canvas. There were so many talented artists there I was so glad to add this to my lineup! Disney Recipe: Le Cellier Cheddar Soup! The Land: Soarin' Above It And Living With It! New Walt Disney World Offers for 2014! !